IS YOUR SUBARU A LEMON? You may be entitled to a new car, a repurchase, or monetary compensation under State Lemon Laws and Federal Warranty laws! 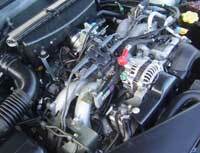 Is your Subaru having engine problems or transmission troubles? Has the check engine light popped on a number of times? 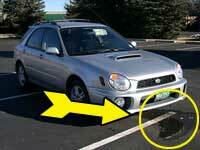 Is there a coolant leak outside the vehicle or a water leak inside the car? Has there been electrical problems? Or has the car stalled? If your Subaru Outback, Legacy, Forester, Tribeca or Impreza has been in the shop repeatedly under manufacturers warranty, you may be entitled to remedy under your State’s Lemon law or a federal law known as the Magnuson Moss Warranty Act. If we can help, legal representation is completely free to the consumer, with no cost or no risk to filing a claim. If you feel your Subaru has been in the shop more than on the road, please fill out the form below and if we can help you, we will contact you shortly, review your situation and discuss whether you may be entitled to free legal help.